The gag grouper (Mycteroperca microlepis) is a drab, mottled-gray fish lacking the distinguishing features of other groupers. 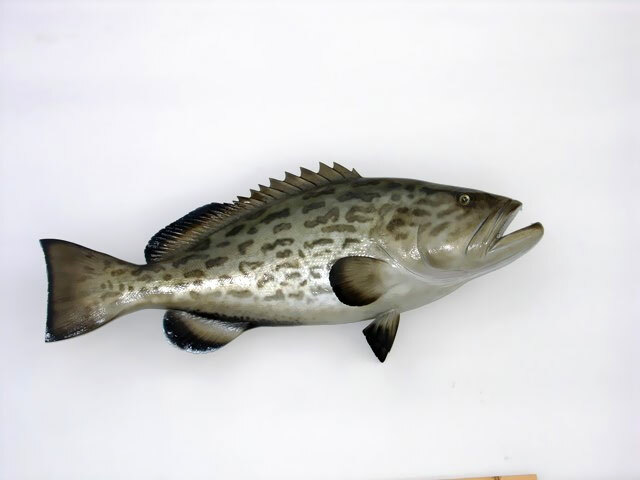 Its pattern of markings resemble the box-shaped spots of the black grouper. It lacks the streamer-points on the tail fin that scamp (Mycteroperca phenax) and yellowmouth grouper (M. interstitialis) have, and lacks yellow coloration around the mouth. Ten- to 20-pound (5- to 10-kg) fish are common. The world record is 80 lb 6 oz (36.45 kg).